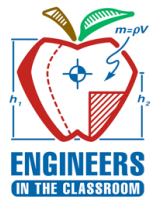 SHPE LM Aero partnered with Gene A. Buinger Career & Technology Academy, Hurst-Euless-Bedford ISD, SHPE-UTA, Trinity HS, ,and the Trinity SHPE Junior chapter to host our 4th annual SHPE ACE Introduction to Design Engineering and Analysis Seminar (IDEAS) Science Day on Saturday, February 4. This was our largest event ever with 95 students pre-registered and 60 7th- 12th grade students that attended. The science activity workshops this year were a Rocket Racer Car and Boat Design competition. The afternoon design workshop was a Boat Design where the students had to work together in teams. During the closing of the event, the students learned how to connect STEM degrees with their interests. The top three teams from the rocket racer car and boat design activities received SHPE and Lockheed Martin prizes. Some attendees received various raffle door prizes including a Lockheed Martin F-35 aircraft desk model airplane. We look forward to what next year brings! !